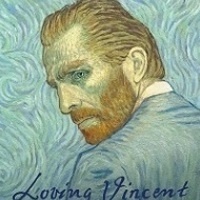 Join the College of Liberal Arts and Eric Braysmith, lecturer in Liberal Arts, for the Friday Night in the Forum film series free screening of Loving Vincent (2015, Poland) (Not rated). LOVING VINCENT is the world’s first fully oil painted feature film. Written & directed by Dorota Kobiela & Hugh Welchman, produced by Poland’s BreakThru Films & UK’s Trademark Films.